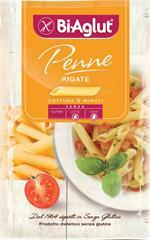 250gr (8.82oz) Price is per pkg. Full case is 12-pkgs. 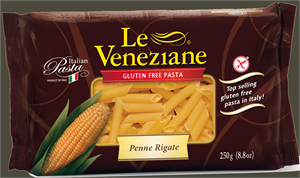 Le Veneziane pasta is the only gf pasta we buy now. We love every type Le Veneziane has and our friends and family cannot tell that it is gf when they come over for dinner. It is delicious. I love this pasta. I had given up on gluten-free pastas but received this as a free sample from somewhere and decided I might as well try it. The taste and texture are both great--even in leftovers a week later, the pasta was still al dente and there were no off flavors at all--just pasta. Yummy.